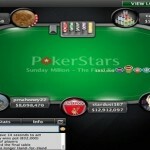 CantWinAFlip of United Kingdom has won the Sunday Million event and got $174,951 as first prize. The event of March 5, 2016 attracted 5,593 players from the world and generated $1,118,600 as total prize pool. Top 810 places were paid. The winner name is Cant.Win.A Flip but it seems like he is the champion and the name should be can.win.any.flip because the player added more than $174K to his main account. 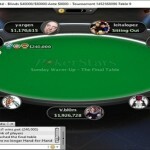 The seat#1 belongs to a Greek player named spearjohn with total 7,256,143 chip counts. Seat#2 is for UK’s CantWinAFlip,who had 12,847,220 chips with him and the seat#3 is for Breakchips 1,726,134. Seat#4,5 and 6 are scheduled for dirty.brasil of Canada 4,526,406, Russian M.Strelskaya with $130,316 chips and trajna of Slovenia with $36,354 chips. Whereas the seat#7, 8 and 9 are for players cxde (Slovakia) $8,948, david owie (United Kingdom) $47,540 and anjuli777 (Germany) $63,200. It was cxde who hit the rail and finished for ninth position for an amount take home $8,948 and Breakchips, the Netherlander player settled for eights place. 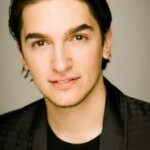 Canadian Noah “dirty.brasil” Vaillancourt was another player got busted at seventh place for $25,168,and . trajna made $36,354 being at sixth position. david owie was at fifth place $47,540 and anjuli777 was at fourth position with her share $63,200. Meanwhile the third place of this particular event belongs to Greek spearjohn ($92,116). The heads up took place in between seat#2 and seat#5. The board ran for: – T♦6♠5♠K♣T♥ means CantWinAFlip won the title. CantWinAFlip won $174,951 and secured first position,whereas M.Strelskaya got $130,316 as winning share.